Beaver Ranch Park is an ideal venue for your wedding or commitment ceremony. 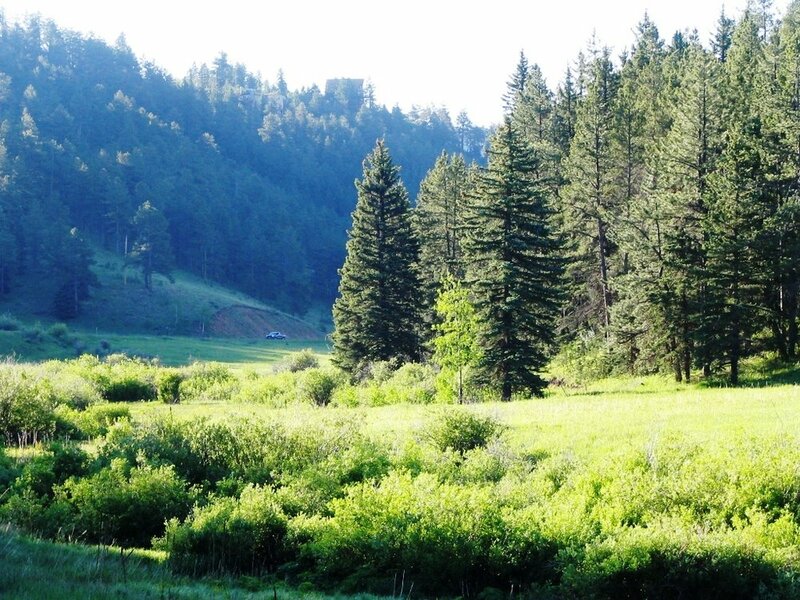 You can tailor the wedding of your dreams at Beaver Ranch, just 45 minutes outside of Denver. Call 303-884-9949 to schedule your special event. Choose the perfect fit for your event: a large meadow hidden in the trees; a serene wedding chapel; the quaint Tipi; or a the Main Lodge with rolling views. The Main Lodge can accommodate gatherings up to 125 guests. Whether you would like to throw a party, teach classes, host a family reunion, or a corporate conference, all are welcome. Fill out the form below to schedule a showing and discuss pricing options with our events director. We have no catering or vendor requirements. If you’re looking for a nearby business for your special event, consider Yvonne Marie’s Patisserie, a fantastic local business that offers delicious cakes and other desserts made from scratch with all-natural ingredients. Call 303-396-4480 to schedule your tasting and get free delivery when you host your event at Beaver Ranch.